A recent job was undertaken for Chris Nicholls Motors of Helston where they have recently taken over a new showroom and service centre, resulting in a new high security cylinder lock being fitted. 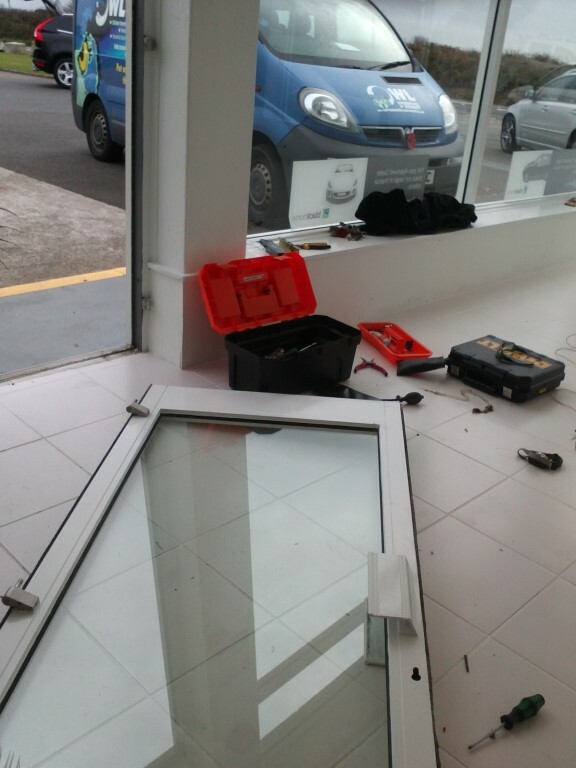 They found there was one of the external doors leading into the show room that would not open so they called on Owl Locksmiths and Security to assist in getting it open. We arrived to find that for some reason the metal door and door frame had been sealed closed. On checking it we believed it was to prevent weathering and proceeded to remove the cylinder and then (in theory) get the door open. 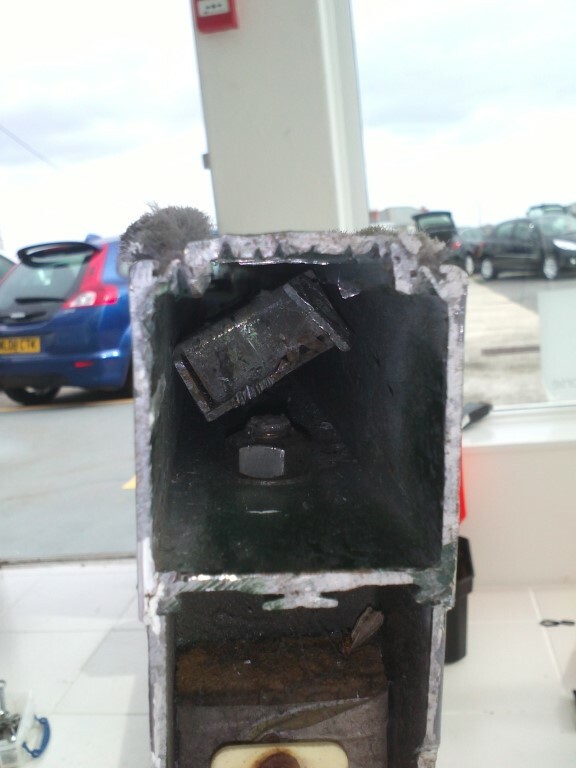 It was only then did we discover that the complete internal lock had failed and seized completely and this was why the door had been sealed closed. We ended up spreading the door away from the frame as much as we could and then decided the best and quickest option was to grinding the bolt out. Once we could get the door open, the door had to be removed as these locks are fitted into place from the bottom. The door came off easy but then we could not get the lock out. At the bottom of the door was a large nut and because of the age of the door this nut had also seized so could not be removed. The problem was that the lock case was too large to get past this nut. However, after a little adjustment, it did eventually decide to give in. The funny thing was that although the old lock would not come out the new one (the same size) slid past easily. The job was finished with the fitting of a new high security cylinder. Unfortunately, a job that was estimated at just two hours actually took over four hours and caused far more grief than first thought. Owl Locksmiths & Security can fit a high security cylinder lock for your business, give us a call on 01209 229219, email us or use the quick contact form on the right of the page. We were very pleased to find that our customer had left us a very positive and much appreciated review on our Facebook Page, see below.